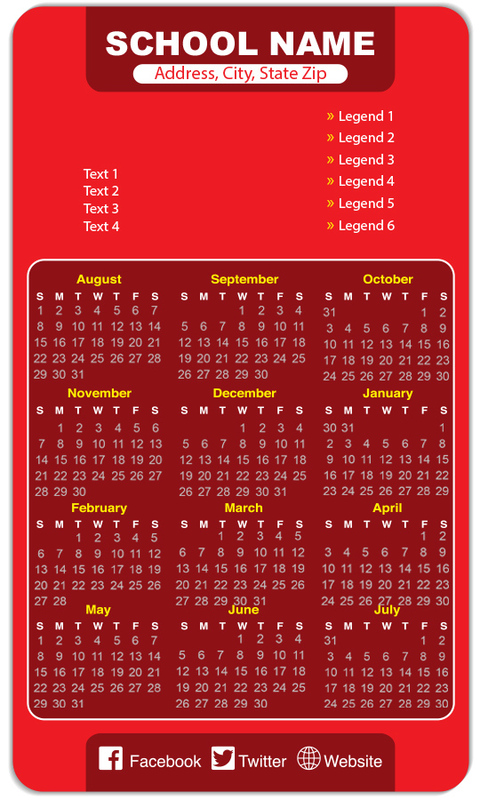 A 3.5x6 school calendar magnet can be suitably customized with date and other brand information and offered as a New Year gift to students. The students will definitely make it a point to affix it over the visible surfaces and also they will experience an added pleasure to talk about their school. This magnet serves best when offered as a refrigerator magnet and advertisers can customize it suitably by paying $0.26. Product Size: 3.5 in. x 6 in.